For those who are wondering how they'll watch the Super Bowl without any cable, you're in luck. 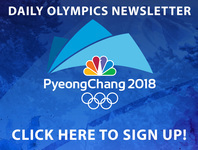 NBC will be streaming the beloved event for free. According to USA TODAY , NBC was the first bold network to livestream the Super Bowl back in 2012. NBC will be streaming the game on NBC.com , NBCSports.com , and on the NBC Sports app . The app is viewable on many devices such as IPhones, Androids, Amazon Fire, Apple TV, Google Chromecast, Roku, and Xbox. Not only will they be streaming the game itself, but the network will also capture the pregame and postgame activities. Usually, viewers would have to give log-in information in order to watch live videos, but not for this event. Beginning on Sunday at noon, NBC will cover the game and end the free access with an episode of This Is Us , which will air around 10 p.m. If you don't want to watch online, you can pick up an antenna at a local NBC station. Click here for antenna recommendations . Not into the actual game? You'll be able to stream Justin Timberlake's halftime show as well. USA also reported that a survey from Adtaxi predicted streaming of the Super Bowl to increase this year by 45%.